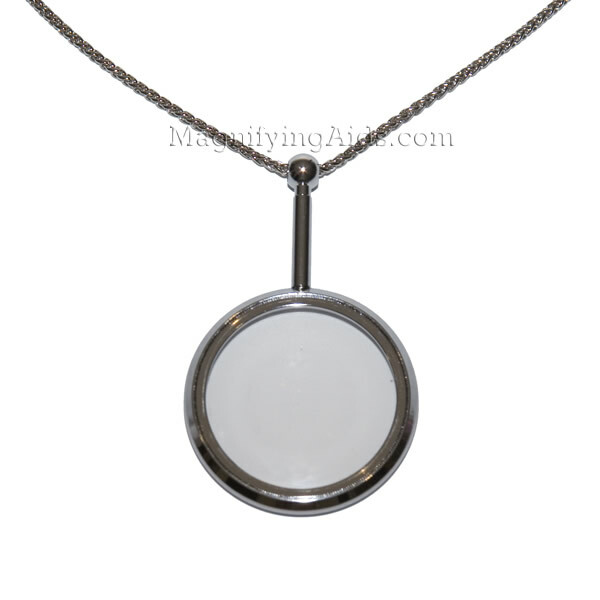 Pendant magnifiers are the inconspicuous ideal magnifier for those that need a little extra help throughout the day. Attractive and always at hand, they feature a glass lens to resist scratching from contact with buttons, zippers, or other jewelry. Mounts, handle, and chain are chrome - plated metal.